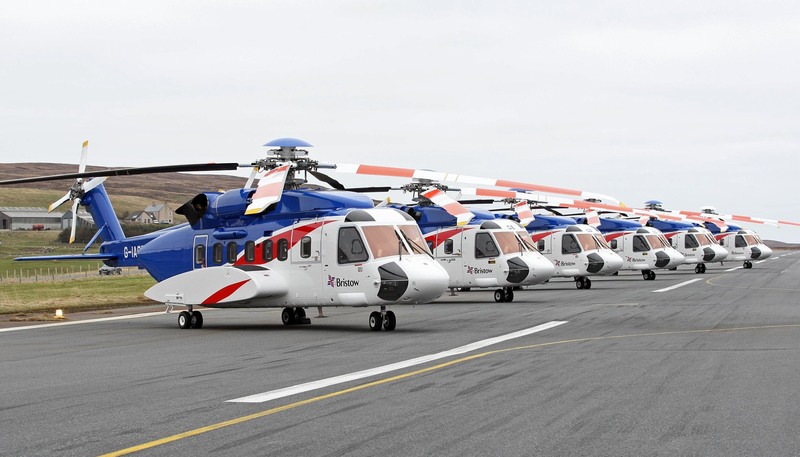 Bristow’s S92 Fleet in Shetland . The aviation partnership operating at Scatsta airport has said they are not expecting any immediate changes to the set-up at the north mainland airport after BP confirmed that it is pulling out. The oil giant said on Tuesday that it is to move its entire Shetland based aviation requirements to Babcock based at Sumburgh airport as of November this year. A BP spokesman said the company had notified the Integrated Aviation Consortium (IAC), an industry partnership involving Bristow Helicopters, Eastern Airways and five major oil and gas companies working in the northern North Sea. A spokesman for Bristow said Shetland’s strategic importance for the oil and gas industry continued to be “significant” as new work continued to emerge in the region. “Our focus is always on providing safe, timely and reliable transportation for clients across the North Sea basin; at present, we do not anticipate any immediate changes to our operational setup,” he said. Scatsta airport provides aroun 100 local jobs and concern has been voiced as to the impact of the changes. BP’s move however doesn’t come entirely unexpected as it follows on from last year’s sale of its interests in Sullom Voe erminal and the Magnus field to EnQuest. The company said the near completion of the commissioning phase of its Clair Ridge development later this year, had triggered a review of its aviation needs in Shetland. “By consolidating our aviation requirements to Sumburgh we are reaffirming our commitment to that airbase; increasing the number of weekly BP flights at Sumburgh to approximately 20,” the spokesman said.